It is estimated there are 58,000 residents of Miami-Dade County who are visually impaired, but only a fraction of those use braille. 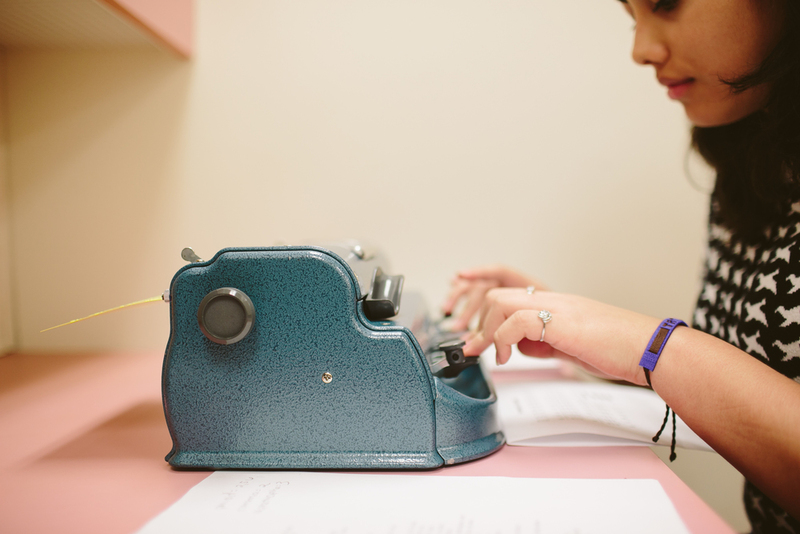 Braille readers are often marginalized due to the lack of accessible materials available to them. "Secret Sonnets" brings attention to a beautiful and important code that allows the visually impaired to read. From March 16 to April 10, send a short poem and the Miami-Dade mailing address of its intended recipient to Secret Sonnets and they will translate the poem into braille and send it to that address, along with an alphabet card that will explain the project and how to read the poem. The poem being submitted should be an original body of work, fourteen lines or less, and the intended recipient must be a resident of Miami-Dade County. From April 11-20, 2015, the poems will be transcribed into Braille and checked for errors; beginning on April 21, 2015, the brailled poems along with the alphabet card will be mailed to their intended recipients using the United States Postal Service. Included will be a link to a website with the transcribed poems. SUBMIT HERE beginning on March 16, 2015.